Pastor Kelly Chatman, of Redeemer Center for Life in the Harrison neighborhood of North Minneapolis, has seen the impact light rail projects can have on communities. While living in Portland, Oregon, and then Washington D.C., he experienced the waves of investment and development that can accompany major transit projects. He’s also seen the challenges they can present if communities aren’t prepared to capitalize on opportunities for community and economic development. That’s why he says participating in the Bottineau Community Works Health Equity Engagement Cohort (HEEC) has been such a valuable experience. Made up of 13 community organizations along the planned Bottineau LRT line, the HEEC works to build capacity in Bottineau corridor communities, so they can play a pro-active role in planning and preparing for the transformational opportunities of LRT. 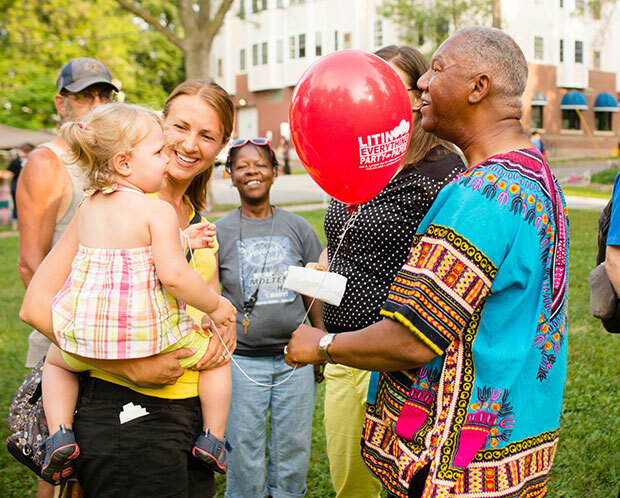 Redeemer Center for Life has a long history of bringing the Harrison neighborhood together to affect change. The center is the non-profit partner of Redeemer Lutheran Church, which has been a hub of community organizing for more than 100 years in North Minneapolis. That mission rings especially true as work continues to prepare communities for the opportunities and challenges of light rail. “The HEEC and the county are really important for that, because we have a common table and we are doing collaborative planning,” he said.